LUC DESCHAMPS (1961- ) Luc Deschamps was born in Ottawa in 1961. He is a self-taught artist who has been interested in painting since childhood. Luc decided to make his dream of painting fulltime a reality in 1997. Luc has made his mark by illustrating the elements of city life, mainly that of Montreal but also Toronto, and of course, Quebec City. Luc sketches street scenes which he takes back to his studio. He only chooses his favourites to become paintings. 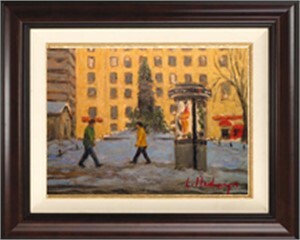 In Luc's paintings, we discover many familiar places such as, Plateau Mont-Royal, Westmount, and the Byward Market area of Ottawa. One of Luc's paintings was chosen to illustrate the cover of a novel by Quebec writer, Gilles Archambault. 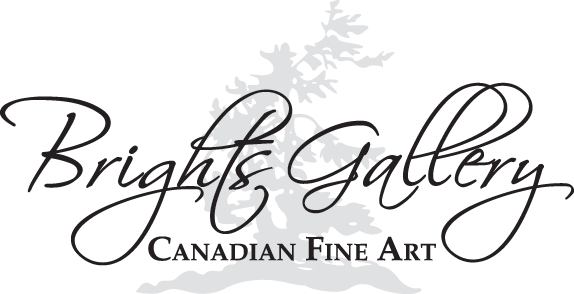 Luc Deschamps has been showing his works in fine art galleries across Canada since 1998. Many of Luc's paintings have been published in Magazin'Art. LUC DESCHAMPS (1961- ) Luc Deschamps was born in Ottawa in 1961. He is a self-taught artist who has been interested in painting since childhood. Luc decided to make his dream of painting fulltime a reality in 1997. Luc has made his mark by illustrating the elements of city life, mainly that of Montreal but also Toronto, and of course, Quebec City. Luc sketches street scenes which he takes back to his studio. He only chooses his favourites to become paintings. In Luc's paintings, we discover many familiar places such as, Plateau Mont-Royal, Westmount, and the Byward Market area of Ottawa. One of Luc's paintings was chosen to illustrate the cover of a novel by Quebec writer, Gilles Archambault. Luc Deschamps has been showing his works in fine art galleries across Canada since 1998. Many of Luc's paintings have been published in Magazin'Art.